I was never much intrigued by the apocalyptic misadventures of Buffy the Vampire Slayer back when it was on the air. Recently though, after having finally bitten the bullet and binge-watched what some might delicately describe as a "terrifying" amount of the show, I found myself now starved for more of Whedon's magnum opus. 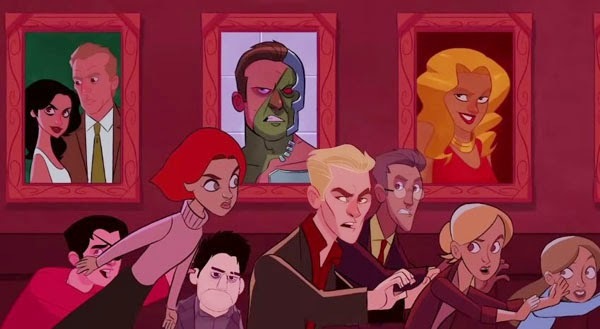 That's where animator Stephen Byrne comes in with this fantastic fan-made opening that doubles as not only an achingly beautiful reminder of the spin-off that never was, but also a loving tribute to Ms. Summers and her lovable misfit band of Scoobies. Not to mention that terrific theme song cover, courtesy of Jeff Ball. Has someone told Joss Whedon about this yet?! I admit I sat on this Kickstarter a little longer than I would have liked. After donating to the incredible project known as Pathologic, it somehow escaped me to share it with the rest of you. Back in 2005, Pathologic was originally released with an abysmal Russian-to-English translation that greatly inhibited player experience. Despite the bad translation, the game's mechanics and ambience were what truly made the game shine, providing it with the opportunity to amass a decent sized cult following. Pathologic tells the story of three different doctors (each with their own separate storyline), trying to piece together the correct solution to a town's dangerous plague. While the game is in a sense, a survival game, the true gem of the game is using your wits to make tough decisions in order to save the lives of the town's inhabitants. There isn't a way to save everyone, and the decisions you make affect the game in many ways. You might make the decision to track down patient zero, alternatively, you might also find it in your best interest to exterminate the plague holders. The method to reaching the plague's end is entirely up to the player, creating many different outcomes. Pathologic is looking to be a very real and moving experience, portraying a realistic plague scenario that players must overcome in anyway they see fit. The game's dark tone really sets an unnerving mood, and in a lot of ways, creates a sense of horror for the player throughout their twelve days in-game. The game's abstract character design and surreal method of storytelling holds a lot of similarities to ACE Team's 2009 release, Zeno Clash, which perks my interest for the project even further. The Kickstarter is quickly approaching it's end date, with only 13 days left as of this post. 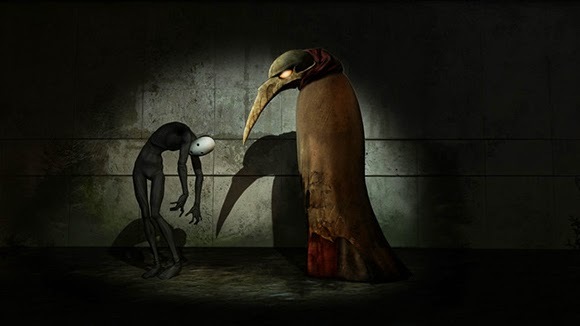 With less than $20,000 to goal, Pathologic seems to be a assured a successful Kickstart. If you want to guarantee the game's success and check out a more in-depth look at it's mechanics, take a look over at the Kickstarter page over here. Using a 3D-scan and a photo of his body, Dmitry Zakharov has created an incredibly hypnotic and soothing piece of art. Using the surface of his 3D body, Zakharov takes a familiar piece and turns it into an incredible explosions of patterns and colors. Accompanied by the soft electronic ambience of Nils Frahm, Inside Me is a relaxing experience that takes you to the insides of Zakharov's body in an awesomely unique way. The quick zooms, and the odd shapes created by inverting the 3D-scans create an interesting feeling of nostalgia, reminding me of the awesome, Beyond The Mind's Eye shorts from the early to mid 90's. Pop culture always seems to find a way to remix itself back into art, and the emergence of more abstract 3D animation like this makes me excited for the coming years. What happens when two equally awesome franchises come together? 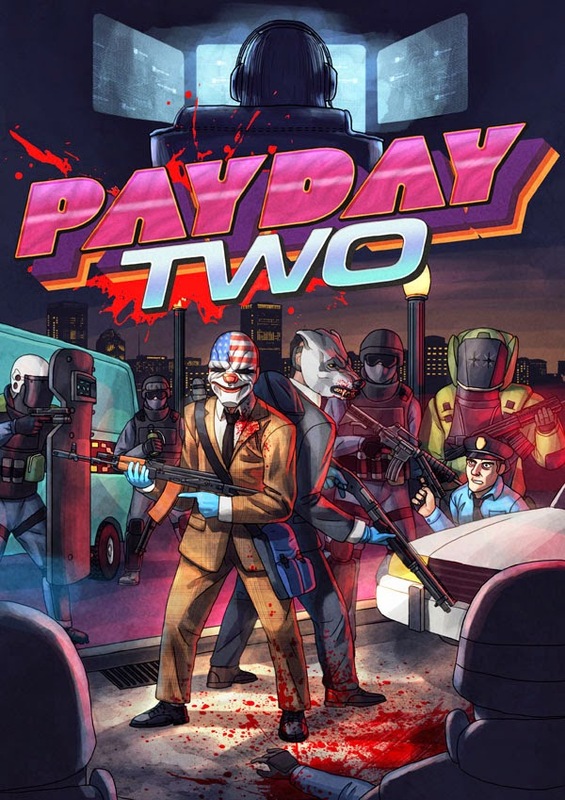 We'll find out later this month with the release Payday 2's latest DLC package, throwing the game's maniacal bankrobbers into the chaotic neon-soaked insanity of Hotline Miami. Developer Overkill Software is being particularly tight-lipped with details, but if this violently ominous trailer is any indication, it's going to be off-the-wall bonkers. This is obviously a promotional tie-in for Hotline Miami's imminent sequel coming out later this year. Hotline Miami is one of my all-time favorite games, and Payday 2 is one of the most satisfying co-op shooter experiences I've had in recent memory. If nothing else, this DLC sounds like a match made in heaven. 24 Killers is a life sim/mystery game where players assume the role of a disembodied shape-shifting skeleton who has been recruited by an anonymous benefactor to act as a ghost hunting private investigator in a secluded island town inhabited by monsters. If that description alone doesn't inspire you to back this, I don't know what will! The spirits that haunt your house are involved in the best kinds of debauchery. They possess a new person each day to get a little taste of life again, but never have peace. As you slap these spirits out of their hosts, you'll learn about their plight and why they're stuck in this loop of unrest. Who are the 24 Killers? As it exists now, 24 Killers is "complete", fully playable from start to finish. But in the interest of further fleshing out the components of game-play content, creator Todd Luke has set up a kickstarter page and offered a ton of incentives to coax potential backers, including art prints and a full digital glossary of the island's inhabitants. The game features a truly inspired premise and art style, sort of like Animal Crossing if viewed through the painterly stylings of David Hellman. The game emphasizes humor and playfulness, balancing a sense of morbid mystery with an off-beat tongue-in-cheek tone. Check out the funding page and see if it strikes your fancy. And while you're at it, play the original browser prototype! I've always had an passing flirtation with rhythm and music games, but Band Saga has to be one of the most inventive and interesting twists on the genre that I've seen in a long time. A roguelike action-RPG where every level, enemy and weapon is generated real-time through music, Band Saga follows the story of a young man whose dream of starting a band is kickstarted by the presence of a mysterious woman and an army of otherworldly baddies and abominations that are out for his head. Throughout their journey players will recruit new band-mates, adding a host of new instruments to their musical arsenal. Each new hub-city and level explored will unlock new sounds, items and the ability to modify and sequence them musically in Band Saga's built-in FM Sequencer. The novelty of remixing sounds and manipulating the soundtrack to traverse the environments as well as taking down enemies could add a whole other layer of challenging complexity to the gameplay. Here's hoping the team can pull it off! As Band Saga's kickstarter stands now, the game is just over a third of a way to its funding goal. 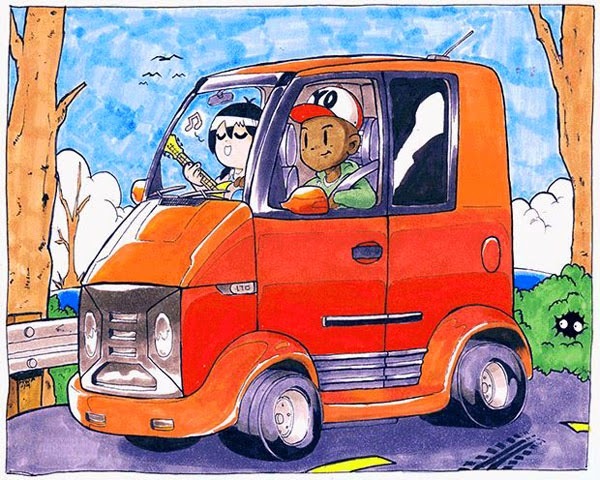 As incentive, creators Roger Hicks and Hillmon Ancrum have put the game's entire soundtrack up for sale, including a promotional mini-comic prequel. A music-oriented RPG with a gorgeously kaleidoscopic art style reminiscent a la Scott Pilgrim and Mercenary Kings? Sounds like a no-brainer to me. After a long weekend at PAX followed by a long string of days battling whatever monstrosity decided to overtake my immune system, I've returned to showcase some of the best titles of PAX. Unlike the past few years, I was actually able to play games at PAX (who would have thought? ), and I'm happy to say that I couldn't be more excited for the next couple couple of years. To kick things off, I felt it was important to introduce possibly the most intriguing title on the show floor, Upsilion Circuit. Upon first glance, Upsilion Circuit appears to be a flashy action RPG with a relatively modest combat system, fortunately there's a lot more going on behind the scenes than you would expect. 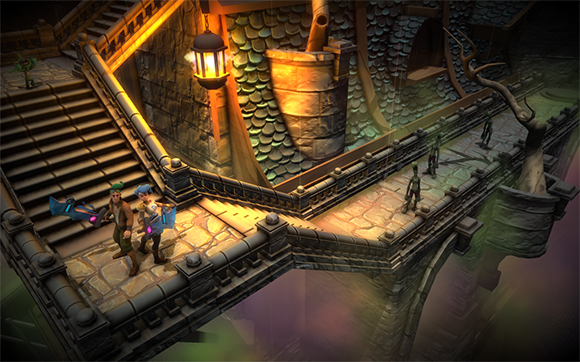 First and foremost, Upsilion Circuit is an MMO, but not in the same vein as you would expect. Rather than interacting with thousands of players, a maximum of 8 people will be given the opportunity to play at once, while the rest of those logged-in participate as an audience member. The mixture of players and viewers is where the game starts to get pretty damn insane. Upsilion Circuit takes the idea of death in video games and makes it a very serious consequence, when you die in the game, you die for good. No, you can't jump out and create a new file, your time within the game is up for good, forcing you into the audience while the game gives another player a chance. I wasn't quite sure how being an audience member would be an interesting experience, but as one of developers at Robot Loves Kitty, Alix Stolzer, explained, Upsilion Circuit plays more like a game show than anything else. At this point I absolutely fell in love with the game. Audience members are asked to take control of the player's experience. By voting on enemy spawns, experience gained and power ups found, Upsilion Circuit creates a constant interaction for those tuning in. In many ways it felt like a logical evolution from the insanely popular Twitch Plays Pokémon, but in a way I many players may not have expected. Of course, no game show would be complete without a co-host, which is where the incredibly creepy Ronnie Raygun steps into play. 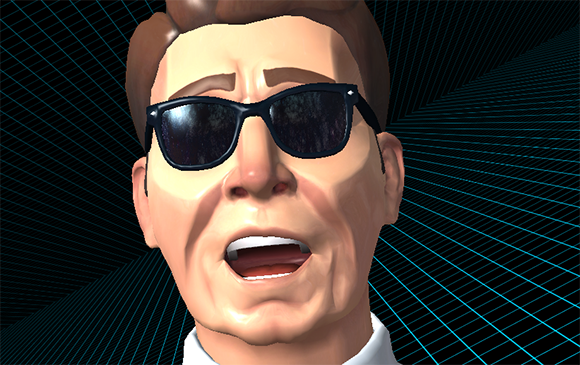 With a personality similar to the "digital" host Max Headroom and an appearance similar to Ronald Reagan, Ronnie interacts with viewers like any normal host would while antagonizing players to do better. It's a really awesome experience that I'm excited to see fleshed out. Uspilion Circuit still has a ways to go with a ton of hurdles to overcome (all of which the developers at Robot Loves Kitty seem to be aware of), but if it pans out I can see Upsilion Circuit making huge waves with those who enjoy that interactive experience that many streamers provide.